If you have a decayed tooth or need support for a dental bridge, you may be a good candidate for a dental crown. At Richard Hardt, D.D.S. in Porterville, California, Dr. Richard Hardt, DDS, and Dr. Lawryn Monterroso, DDS, offer same-day dental crown procedures to protect the structure and strength of your natural teeth. They also offer innovative CEREC® digital technology for creating custom crowns. To find out if a dental crown is the right restorative procedure for you, call or use online booking to schedule an appointment today. A dental crown is a restorative option that covers a decayed or damaged tooth. A dental laboratory makes customized crowns using durable, tooth-colored material to resemble your natural teeth and ensure a tight, comfortable fit over your tooth. A crown can make your natural tooth stronger when you need a large filling, but don’t have enough tooth surface to maintain it. Once the crown is in place, it functions like a normal tooth, allowing you to chew food and speak comfortably. You need two appointments to have a crown put into place. During your initial consultation, Dr. Hardt or Dr. Monterroso may need to place a temporary crown to keep food and other debris from getting inside your tooth. What happens when I get a dental crown? Dr. Hardt or Dr. Monterroso use CEREC digital dentistry to take photos of your teeth and gather the necessary information to make your custom crown. They send the information to a dental laboratory that constructs your crown. Once the crown is ready for placement, you come back for another appointment. To ensure a secure fit for your dental crown, Dr. Hardt or Dr. Monterroso must prepare your natural tooth. They use a local anesthetic to numb the tissue around the affected tooth before shaving the tooth down to make room for the crown. The new crown fits over your natural tooth and is held into place with a safe, durable dental cement. With proper oral care, a crown can last for many years. What if my crown comes off? In the event your crown comes off, Dr. Hardt and Dr. Monterroso may be able to replace it with new cement, rather than having to make a new one. Keep the crown in a safe place and contact the office for an appointment. Dr. Hardt or Dr. Monterroso can reattach the crown during your visit if it’s still in good condition and free of damage or breaks. 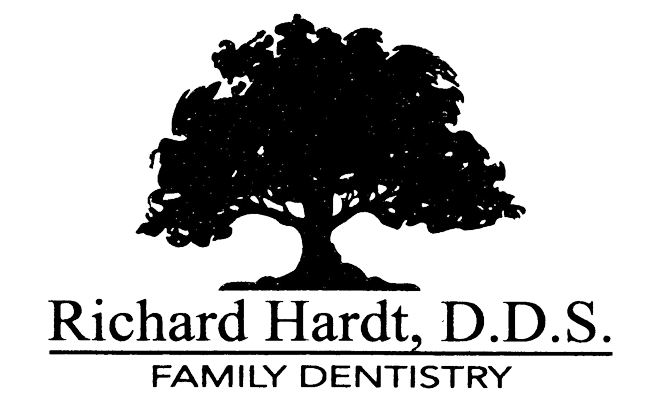 To learn more about the benefits of dental crowns, call Richard Hardt, D.D.S. in Porterville, California, or use online booking to schedule an appointment today.